Japanese Robatayaki: The Bruny Way. As a studio potter, Brunyfire produced a range of tableware during the late ’80s that included a number of pieces that were influenced by Japanese cuisine. These attempted to create a contemporary look to a traditional format using semi-industrial techniques (eg. slip casting) to reflect a more Australian vernacular through the exploration of form and texture. 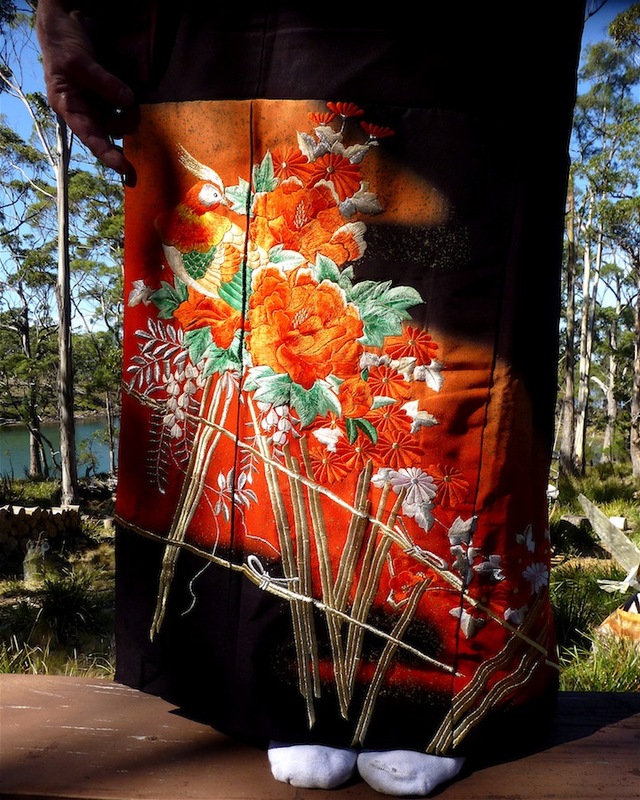 Japanese aesthetics, through its cuisine, ceramics, fashion, fabrics, architecture, garden design, etc is, amongst a host of other considerations, also governed considerably by similar contrasts of form and texture. 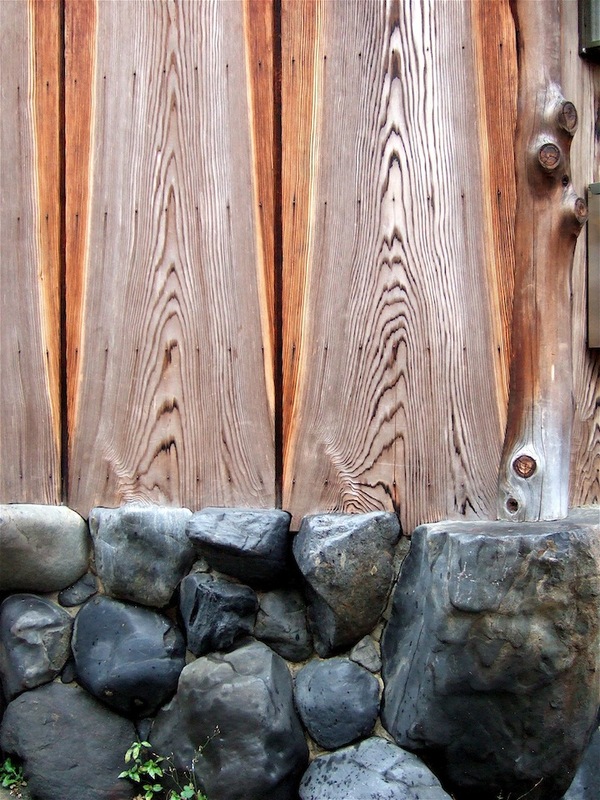 A couple of trips to Japan in ’96 and ‘2005, was inspirational in providing opportunities to make numerous observations about some of these details in the city of Kyoto. Japanese aesthetics has influenced much of the design surrounding The Observatory, our Bruny Island shack with its layered outdoor decking and chequered screens. 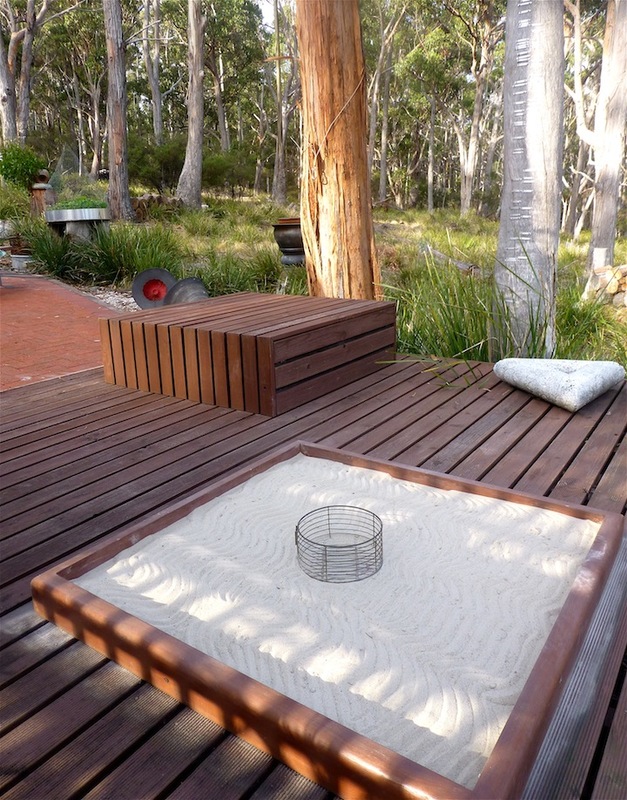 The decks are not just a comfortable extension into the bush, but a conscious exploration of spatial planes – of different levels and viewpoints. On one of the decks, we’ve built a shallow ‘sand-pit’ with a fire proof base, protected by a wooden cover that also serves as a table. When the sand-pit does emerge, it’s usually taken over by one of the kids………. …………but it’s true identity is actually based on the design of a traditional Japanese irori. 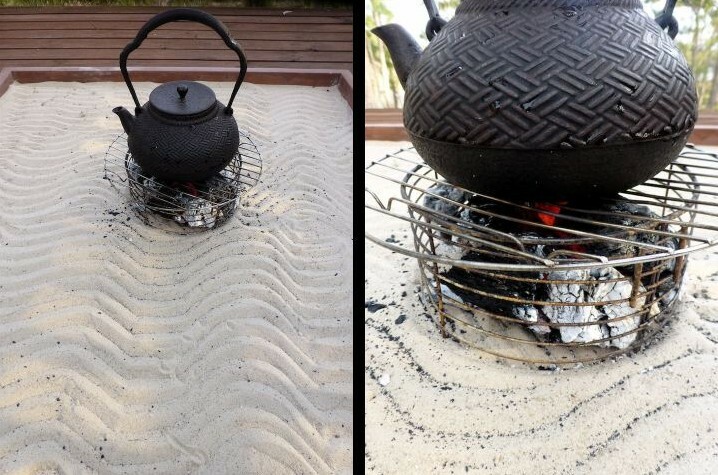 Irori are a type of sunken charcoal fueled fire place – a square pit set into the floor, filled with ash or sand as insulation that used to frequent many a rural farmhouse, and still exist in some traditional ryokans. These were used for heating the home and cooking food. With an adjustable pot hook set into the ceiling above that enabled cooking pots and kettle to be raised and lowered, the irori was the communal heart of the home. The heart of one such home (now a museum) that Brunyfire visited was that of Kawai Kanjiro, a Japanese potter and a key figure in mingei (the Japanese folk art movement) and the international studio pottery movements, which also included other famous potters – Bernard Leach, Shōji Hamada, Kenkichi Tomimoto amongst others. 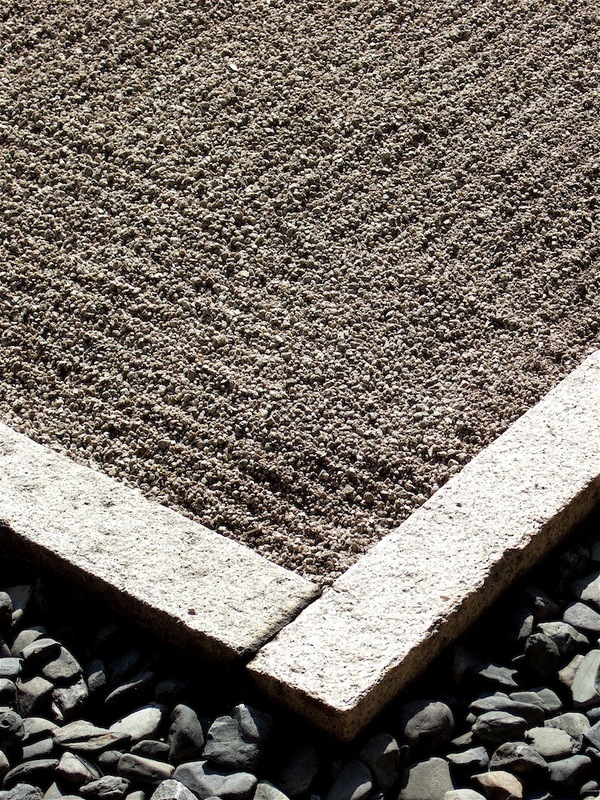 Japan’s aesthetic landscape is not only texturally rich, but in many instances, calming. Having visited numerous tea and temple gardens, with their soothing ambience and carefully combed sand gardens……. 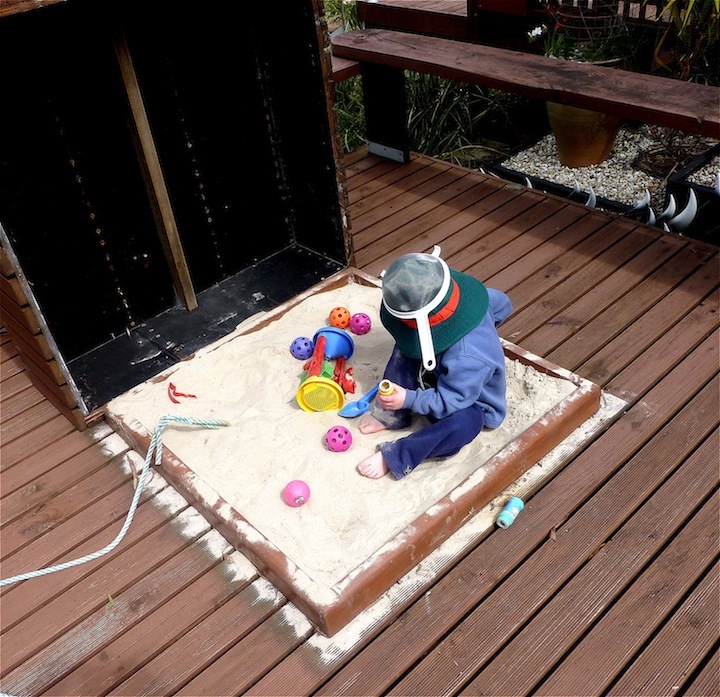 ……….Brunyfire felt it high time to re-deposit the children from the pit, chase out the spiders, clear out the toys, sift the sand and run the rake artfully across its surface. In the centre of the Bruny irori, another great tip shop find (a deep chip frying cage, with its handle ground off) was placed ready to hold red hot charcoal in readiness for cooking – robatayaki style. In Japanese, ‘ro‘ means ’round’ – ‘bata‘ means ‘around or surrounding’ and ‘yaki‘ means to ‘grill’. So robatayaki best describes a tradition of centuries old country style home cooking that would occur around a central fireplace or fireside cooking. Japanese fishermen from Hokkaido took this one step further when they created a portable version of robatayaki. Unable to fire up a pit in their wooden boats, they grilled their skewered catch over charcoal by encasing their charcoal in a small protective container which enabled them to cook safely on board during the time they were at sea. The fishermen would then share their food with their fellow fishers on neighbouring vessels by passing food over to each other across the water on their wooden paddles. 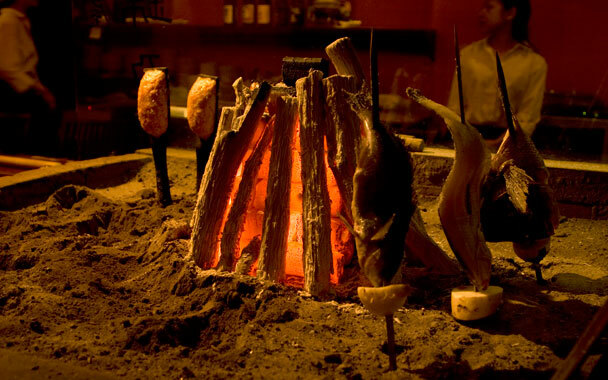 From the 1960s, robatayaki became shortened to simply robata when it became a popular restaurant way of dining that comprised of a central chef with a host of raw ingredients that the diner could select from which were then grilled on skewers in a vertical circle surrounding a pile of red hot charcoal in a table height sandpit. The cooked food was then served to customers on wooden paddles. (The above photo is by Shayla Hunter from Harris Salat’s article). 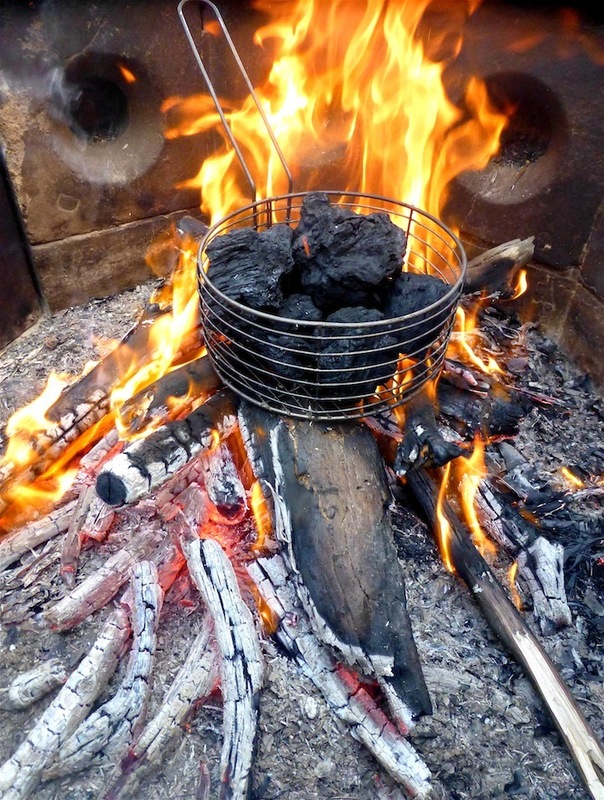 The secret to the popularity of this method of cooking is in its simplicity and the quality of its fire source – in this instance – a high grade charcoal called Binchō-tan made from ubame oak, which is very expensive and burns for a long time with an intense heat. The success of the food is in the chef’s skill at controlling the heat. He does this by sprinkling salt on the charcoal to knock off ash and make it hotter, or by dripping a few drops of water onto the charcoal to cool it down. 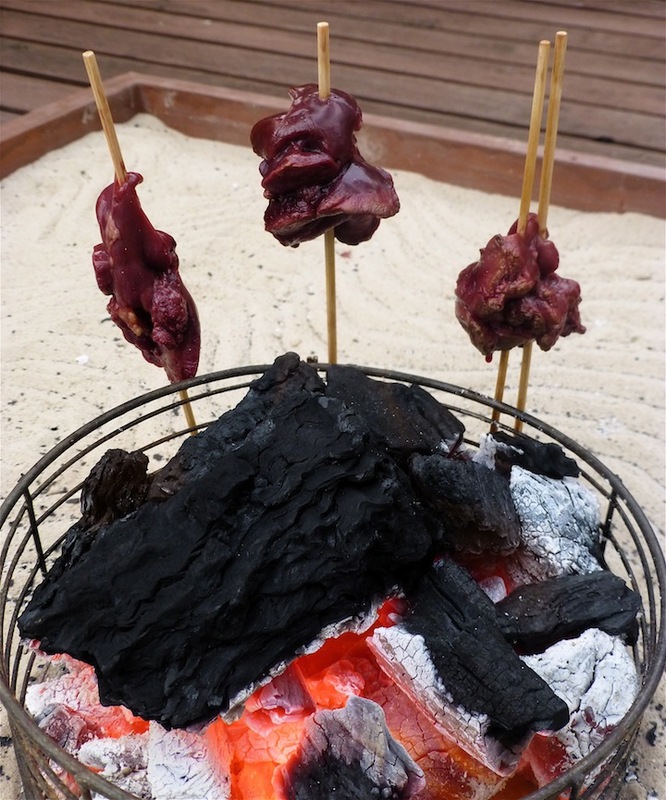 In Brunyfire’s robatayaki version, a local red gum charcoal was fired up in the firepit in another tip shop deep fryer……. 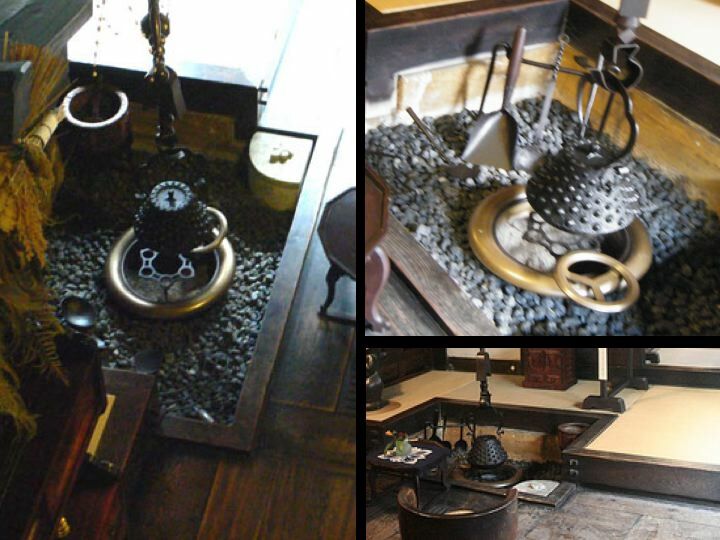 ……..and transported to the iori, and the tetsubin put onto boil for a cup of the local green brew. As we were sipping our green tea, some skewered chicken livers were grilling nicely……… ……..and whilst the finished results don’t look very glamorous, dunked in a little ponzu sauce, they tasted pretty damn good with their caramelised outer crust and moist interior…..